Paula Martiesian, photo by Scott Lapham. “Painting for me is neither a magical channeling of creative forces, nor a juggling act of conceptual ideas. It is, instead, a highly personal experimentation involving elements of color, space, and line balanced with emotional experience. 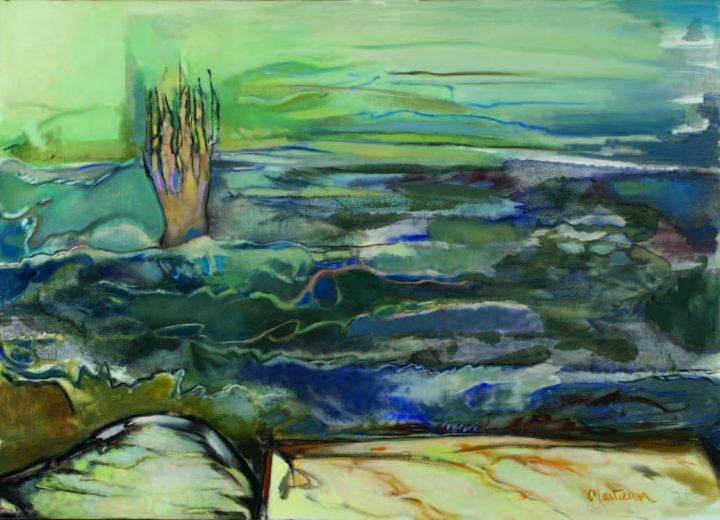 To that end, I have been a student of painting for over forty years.” A native Rhode Islander and graduate of the Rhode Island School of Design, Paula Martiesian also studied extensively with her mentor Gordon Peers, head of the European Honors Program at RISD. She is, and has been, an integral part of Providence’s creative community. 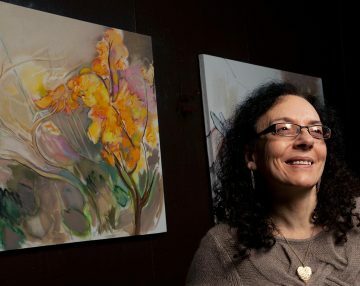 She was the editor and co-publisher of Quix Art Quarterly, then a co-founder and board chair of Gallery Night Providence, and remains the curator for the BankRI Galleries. Martiesian has exhibited extensively around Rhode Island and is active as an awardwinning advocate for the arts and artists—both emerging and established.